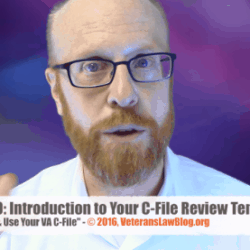 The VA Tort Claim – Some Very Basic Info. “Here’s what I’ll do….I’ll just file a VA Tort claim and make those bastards pay”. I hear that statement – or a variation of it – almost every day on social media, or in emails to the Veterans Law Blog. What many Veterans are talking about is suing the VA for the delays and problems in its bureaucracy. To a great number of Veterans the “Tort Claim” is the “end-all-be-all” of fixing the VA and getting revenge on a broken system. For those Veterans, this next sentence will be hard to hear: the Federal Government has wide sovereign immunity, and suits against government processes and bureaucracies are typically dismissed by Federal Court Judges very early in a lawsuit. But that isn’t to say that there isn’t a use for what many call a “VA Tort claim”. These kinds of suits have their greatest impact when a Veteran seeks recovery of benefits for an injury caused by the VA (typically medical care, but it does not have to be only medical care). So in this post, I want to line out some basic facts about the VA Tort claim – and its Title 38 “cousin”, the Section 1151 claim. Here’s the Basic Concept of a VA Tort Claim. Veterans may be able to service-connect injuries (and their surviving spouses may be able to obtain DIC for a death) caused by treatment in the VA healthcare system. At the same time, they may also be able to sue the VA doctors or employees that caused the injury under “tort” law. 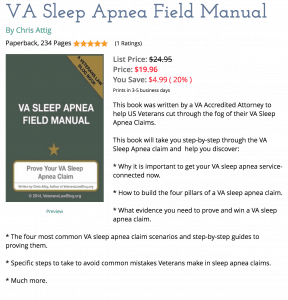 A lot of VA Accredited Attorneys – most, in fact – do not take these types of cases: VA Tort claims are extremely complex, extremely expensive, and resource-intensive cases that often require the assistance of attorneys that have a LOT of experience handling medical malpractice claims. And there have to be very real damages. I’m not talking about “wounded pride” damages – or damages for “emotional suffering” if your VA Provider is an ethnic Indian and you think he’s from Afghanistan or Pakistan. I’m not talking about damages for not filling a prescription and having to drive in to get it filled. I’m talking about some serious medical and physical limitations and damages. That said, I am not an expert at the VA Tort claim, and if you think you have a claim for damages against the VA, you should talk to a lawyer that handles such claims. This blog post on the VA Tort Claim is not a substitute for legal advice about YOUR specific situation or potential VA Tort claim. However, there are attorneys that handle a lot of VA medical malpractice claims, and do very well at them. When a VA Tort Claim involves allegations of VA medical malpractice, it is important that the Veteran know about the “Section 1151” claim. Here is a General Overview of a Section 1151 Claim. 38 U.S.C. § 1151 – read here to understand what the USC or United States Code is – states that if a veteran is injured because of VA hospitalization, treatment, rehab or therapy that is not the fault of the veteran, the injury is treated as service-connected for the purposes of payment of damages. You will have to show fault, whether that fault is through negligence, lack of proper skill, carelessness, error in judgment, etc. To show fault, you will need a medical expert opinion. Medical experts can charge very high rates for their services. Additional disability or death. The VA will compare your condition immediately prior to treatment to your condition immediately after treatment by the VA to determine the existence of an additional disability. VA Hospital Care, Medical treatment, surgery, or examination. 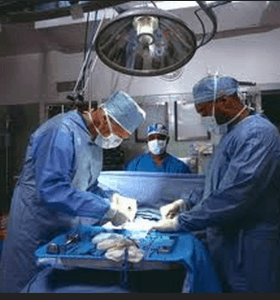 The term Hospital Care is narrow – prior to 1997, an 1151 claimant needed only show “hospitalization” which could have included anything that occurred general experience during the course of VA treatment. Now, the tighter showing of Hospital Care is necessary. Proximate Cause. This is a legal term that establishes the “bridge” between the VA treatment and the additional disability. Proximate cause is a legal term, and the VA defines it as such: “the action or event that directly caused the disability or death, as distinguished from a remote contributing cause.” Additionally, you will need to show “actual cause”. The good news is that the burden of proof for this element is the “balance of the evidence” – which lies somewhere between substantial evidence and preponderance of the evidence. How does this Compare to a VA Tort Claim – or an FTCA Claim? Most veterans I have talked to that have been injured by for the above reasons want to talk to us about suing the VA for medical malpractice. The answer is generally, yes. This type of lawsuit is permitted under the Federal Tort Claims Act (FTCA). A lot of Veterans call them VA Tort Claims. CAUTION: There are some really tight timelines, statutes of limitations, and pleading requirements in an FTCA Claim. This blog post – no blog post – can substitute for the legal advice of a VA accredited attorney that has handled and understands FTCA cases. 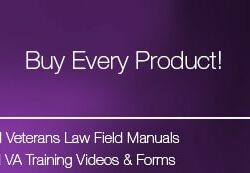 Be forewarned…I’ve seen a LOT of lawyers start taking these cases, only to find out that they are a lot of work – and are very expensive – and drop their client in the middle of the case. I strongly recommend that you seek out an attorney that has experience handling 1151 claims and FTCA claims against the VA – you will have to contact a LOT of lawyers to find one that does this work, but I would not “go it alone” in a case like this. But basically, to start the proverbial ball rolling in an FTCA Claim, you have to submit Form SF 95 to the VA. The VA will make a decision on your allegations, and you have 6 months from the date of their decision to file suit if you disagree. What sort of things can you allege in an FTCA Claim? Like anything in the law, the above should not be taken as absolute statements of VA liability – there are nuances, exceptions, factual differences and damage requirements that are different in many of these situations. 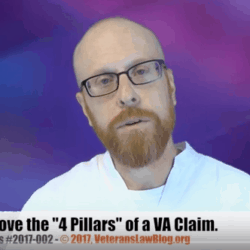 Bottom line – the above is a list of some things you MIGHT be able to file an FTCA claim on, but not necessarily something that you will recover money from the VA for. If you do recover money from the VA in an FTCA suit, there is a tricky formula that will affect your VA Disability Benefits. While a Veteran can get Section 1151 benefits and recover in an FTCA suit for the sam injury, the VA is allowed by law to withhold all payments for Section 1151 benefits until the total amount of the FTCA claim is offset. This total amount is not the amount you get paid – it includes everything that was awarded in the court’s order or the FTCA settlement agreement such as economic damages, non-economic losses, attorney fees, court costs, and expenses. A Few Words of Caution if you Want to File a VA Tort Claim. You have to know a lot of law to win one. You have to know what you are doing in Federal Court. You have to have deep pockets to bank-roll the experts you will need to win a VA Tort Claim. The US Attorney – who will represent the government in court in your VA Tort Claim – is going to put up a fight. While VA attorneys can often be counted on to make mistakes and make poor/sloppy arguments that are more about ego than justice, Attorneys in the US Attorneys Office know their s**t. They are usually very pleasant and professional, but always very firm in their convictions and can be quite crafty. One US Attorney told me a story of a VA Tort Claim in which the attorney defended the government. Seems the Veteran was claiming that the treatment of her knees in a VA Medical facility kept the Veteran from being able to sit for any more than 20 minutes at a time…this was one of the major components of the damages case. The US Attorney pulled the Veteran’s attorney into the hall, pointed out that after 3 hours of sitting, she was not in any pain. The Veteran settled the claim for court costs. I’m not saying that the Veteran was lying or that the claim was frivolous – not by any stretch of the imagination. What I am saying is that the damages in the case were not substantial, and the US Attorney found a very creative way to prove that to the Veteran’s attorney. The point is, you aren’t dealing with “amateur hour” when you go into Federal Court. So spend some time, pick an attorney that knows what the hell they are doing, that has some experience, has the deep pockets to afford the litigation…..
What questions do you have about the VA Tort claim….ask them by clicking here or in the comment section…..I don’t handle these claims in my practice, but if we get enough questions, I’ll see if we can get an interview with one of the “best” VA tort claim attorneys I know.